Gandhi's ideas are as meaningful today as they were during his long and inspiring life. His enlightening thoughts and beliefs, especially on violence and the atomic bomb, reveal his eloquent foresight about our contemporary world. 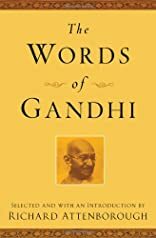 The words of one of the greatest men of the twentieth century, chosen by the award-winning director Richard Attenborough from Gandhi's letters, speeches, and published writings, explore the prophet's timeless thoughts on daily life, cooperation, nonviolence, faith, and peace. This bestselling volume includes an introduction by Attenborough and an afterword by Time magazine Senior Foreign Correspondent Johanna McGeary that places Gandhi's life and work in the historical context of the twentieth century. 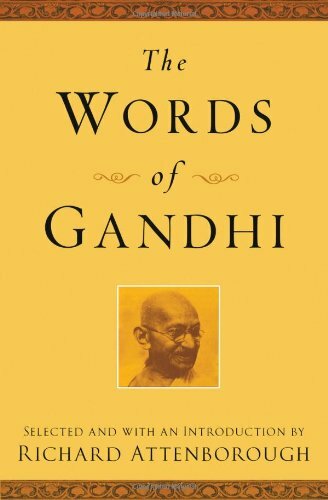 This book and the film Gandhi were the result of producer/director Richard Attenborough's long commitment to keeping alive the flame of Gandhi's spiritual achievement and the wisdom of his actions and his words. They are the wisdom and words of peace. Also included are twenty striking historical photographs, specially selected from the archives at the National Gandhi Museum in New Delhi, that capture the important personal, political, and spiritual aspects of Gandhi's career. About Mahatma Gandhi (Author) : Mahatma Gandhi is a published author of young adult books. Published credits of Mahatma Gandhi include The Words of Gandhi, Mahatma Gandhi (Living Philosophies).